No one wants to raise a spoilt child. But would you know one if you had? There are several ways in which this generation stands out. People are more technologically driven, materialism seems to be growing and even young children have bought into the renewed focus on appearance.Closely following in mom and dad’s proverbial footsteps by asking to wear Nikes and not just “tekkies”. How cute is it to see a two-year-old branding “just do it”?However, when your rapidly growing pre-teen is used to being spoilt in this way, it becomes an expensive exercise! Requests soon can change to demands and no one can afford to be seen in public with an angry child as this tarnishes a carefully constructed public image. Or does it?When the parents have minimal authority and children continually get their own way by acting out, the children become spoilt.But, contrary to popular belief, children aren’t spoilt because they whine; they are spoilt if whining consistently gets them what they want. Sometimes in an effort to be kinder, gentler parents, moms and dads let their sweet little darlings get the upper hand. It is time for the pendulum to swing, to be gentle and still afford children the opportunity to grow into responsible, contributing members of society. The question might arise in your mind whether your children are spoilt? As the parent you avoid public places, always have bribes ready and have difficulty finishing a story, task or telephone conversation. What can I do to reverse the effects? Make sure your children aren’t defining their happiness and their status in the world as a function of what they wear or drive. Sit down with them and have a one-on-one conversation about what really defines their worth – their intelligence, their creativity, their caring, their giving, their work ethic, etc. Make sure your child understands the value of hard work. The difference between winners and losers is winners do things losers don’t want to do – working hard to get ready to be a star. Help your children set goals. Teach them that striving to own nice things is fine if they understand how much hard work it takes to afford it. Your children do not have to love you every minute of every day. They’ll get over the disappointment of having been told “no”. But they won’t get over the effects of being spoilt. Set age-appropriate boundaries so that children go after life exuberantly, testing the limits. You can start in the toddler years. Be consistent. Always do what you say you’re going to do. If you tell your children certain behaviour will have consequences, they should know you mean it. “This time I’m really taking the toy away if you don’t play nicely,” doesn’t work when you’ve already said it 10 times. Know what you will encourage, such as saying please and thank you and playing gently with friends. Reinforce positive behaviour more than you harp on negative behaviour. Talk with your children openly about behaviour as they get older. School-age and adolescent children are capable of insight, so sit down and to try to figure out problems together.For example, if you ask a child, “Why are you doing this?” the child may not be able to tell you. But if you say, “I wonder why this keeps happening,” that open-ended question might give the child room to speculate. You might be surprised by what you learn. Stay calm. Losing your temper for bad behaviour only makes you feel bad and look out of control (kind of like a spoilt child), and it doesn’t teach the child to behave better. A child out of control is a cry for help, not a sign the child is spoilt. Best start early to set limits consistently, understand the developmental needs of the infant and young child to find this delicate, critical balance between freedom and limits. Don’t let your guilt get in the way of your parenting. Your job as a parent is to prepare your child to succeed in school and when they go out into the world. You don’t want to teach your children they will get everything through manipulation, pouting, crying, door slamming and guilt induction.If you want your children to help clean up; how do you get them to do it? You say, “We need to get four things done. Which do you choose?” Start by doing it together, then gradually fade out of the picture. Praise the children as they do more. When parents decide to reverse the tide, they focus too much on “no” and on punishment, but it’s not about cracking down. It’s about creating a value system that lets kids learn life skills. Remember the shock of changing everything means we change nothing – so take it slow. You have to make slow, progressive changes. Children need to know they are intrinsically “okay”, “good enough” and do not have to perform for you to accept them unconditionally. Children flourish on routine. If life (and discipline) is predictable they can figure out how to control their part in it, learn to take responsibility and in that way develop a strong self-esteem. Children thrive on knowing they can count on you to be there, whether it is to listen, help, support or just be a witness to their accomplishments. By sparing them the time you will create an environment conducive to conversation and shared experiences. Suzette says traditionally, discipline is used to correct undesirable behaviour, as a negative consequence or discouragement. However, this equals discipline to punishment and excludes a crucial part of the formula, i.e. reward. The parental team (mother, father and/or all the child’s caregivers) should agree that punishment must always be age appropriate and the rule of thumb is consistency. This teaches children about consequences and to think before they act. 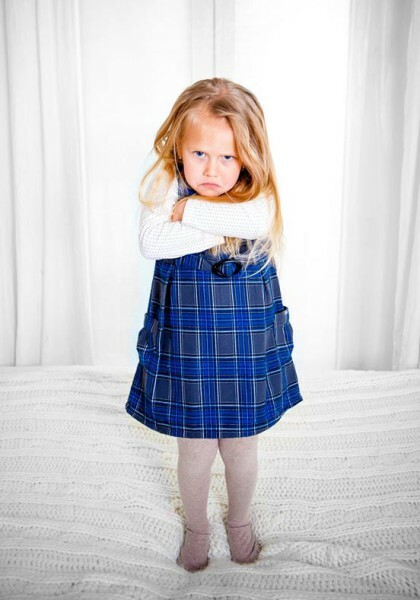 It is never acceptable to physically punish a child when you are angry as this models undesirable behaviour. Ideal behaviour, and not patterns of behaviour mentioned in the list above, should we rewarded consistently. The rewards should not be material in nature, but rather consist of positive verbal responses such as “well done”, “great job” or “way to go!” and special activities your child enjoys, such as baking cupcakes on Saturday, going fishing at the lake or visiting friends. This should not be held as a condition, but if you can give your child a goal to works towards it can act as a strong motivator. I have witnessed the success of various creative behavioural charts. For some ideas visit www.kidpointz.com.